Figure 3-8. 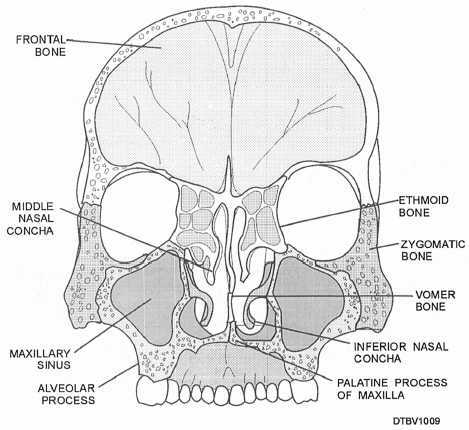 - Anterior view of facial skeleton. Figure 3-9. 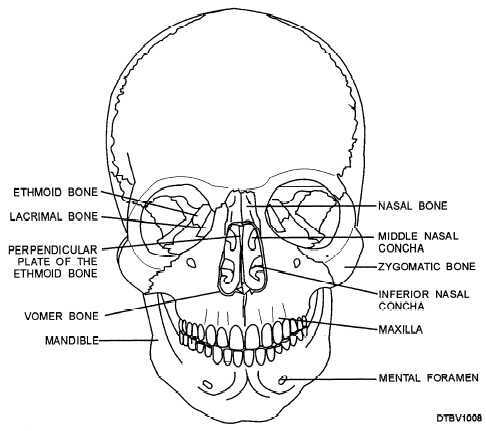 - Posterior view of facial skeleton.